“I can see Clairy now Lorraine has gone…” It pains me to use such a great song as an example of lack of clarity, but I always thought it was funny when people got the lyrics wrong (search for 'misheard lyrics' for more of those gems!) It’s not about Johnny Nash having an affair that has resolved itself (well, it might be? ), it’s about seeing clearly, now the rain is gone. An important principle in software development, metaphorically speaking, of course…but seriously, that meme demonstrates how easily things can be perceived in a different way than intended and thus, creating an entirely different understanding and meaning. Why is clarity important? Well, what does it mean? ‘Easy to perceive, understand, or interpret’ is the dictionary definition and exactly why it’s important – if things are difficult to perceive or understand, it’s highly likely that we won’t do so correctly or fully, thus undermining our efforts in what we’re trying to use or achieve. What happens when things aren’t clear? Mistakes are made, we are misled or get the wrong idea and it usually causes hysteria somewhere down the line! Making things clear helps us to get them right or understand them at the first attempt, saving time and effort as well as being a source of contentment. Further to this, lack of clarity can be critical. Think of administering medicine or the fact that there is a pregnancy testing brand named for its simplicity and clarity! How many times have unclear instructions left you cursing?! 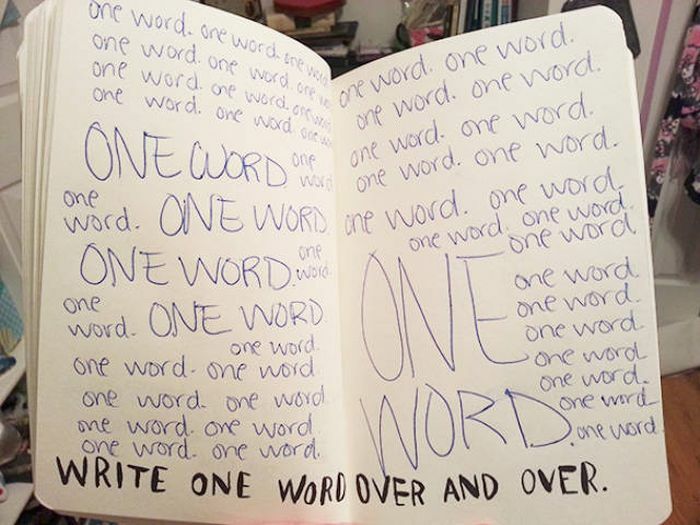 Even simple concepts can be made confusing by a lack of clarity – how about writing a single word repeatedly? Using a cash point isn’t necessarily simple, but inserting your card should be. Do you remember when President Trump wrote the word ‘covfefe’ on social media? It broke the internet. There are growing business services for ‘clarity’, particularly for software and business communications. It’s a professional discipline that firms are paying for and profiting from. It really is big business. 1. Know the unknown – if we don’t know something, it is unlikely to be clear and brings with it the associated fear of the unknown. Ask why it’s unknown and how that can be addressed. 3. Don’t forget the context – it may be clear to some, but not to others. Make sure your audience understands the context – how many times have you found yourself rambling on to someone with a blank expression, only to realise you’ve not given any context?! Sometimes only a single word can resolve the situation. 4. Fresh perspectives – Show people, let them loose and gather their feedback. If they don’t understand without explanation, it’s unlikely to be clear enough. 5. Take a break - Fresh perspectives are great, but simply taking some time away from your work can help you clear your own mind and find some perspective. 6. Organise things logically - guide your audience through the journey with logical groups of items. You should end up with a smooth workflow through which a natural path is created and enjoyed. 7. Give direct instructions - if it’s not clear and no simple way of making it so, tell the user what to do. They will thank you for it! 8. Target the audience - it may be clear to you, but is it clear to your target audience? Put yourself in their shoes and ensure you can still walk comfortably. 9. Stick to the point - remember what you’re trying to achieve and try not to let any diversions or bells & whistles distract you from your main objectives. 10. Simplify! – Ask why? If the answer is not obvious or intuitive to you, how can it be so for others? Break it down to the simplest form, utilise your logic and common sense, gain an understanding, take one step at a time and build on it.